Register for the Top Dog Academy and you will have online access to everything in the Dog Lover’s Library, (including 4 eBooks and 13 videos), PLUS over 100 hours of dog behavior and training seminars and workshops, (a combined value of over $1,400 if bought individually from the A la Carte section of Dunbar Academy). Additionally, new content is added on a regular basis. 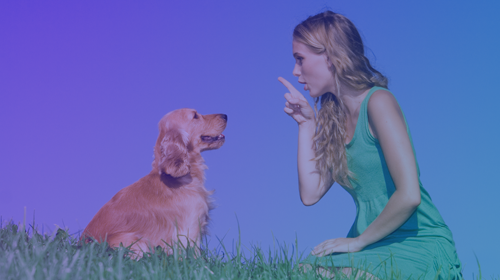 The Top Dog Academy is an excellent resource for anyone who wants to attain an advanced understanding of dog behavior and a superior set of skills for improving basic manners, behavior, and temperament. Our advanced concepts, instructions, and methods will allow you to attain a high level of off-leash reliability & control and accelerate the resolution of behavior and temperament problems, especially anxiety and aggressiveness. Most of the seminars offer Continued Education Units for your professional recertification (RACE, CCPDT, IAABC or NADOI). Watch the seminars at your own convenience from the comfort of your own home with no additional registration, travel or hotel expenses. Subscribe to the Top Dog Academy and you will be invited to join the private Dunbar Academy Top Dogs Facebook group — a thriving community of doggy people, all passionate about owner-friendly and dog-friendly dog training — the perfect place to share thoughts, swap stories and get valuable advice. If, despite all of the material included in this collection and input from other Top Dogs, you still can't find answers, email us. We are gradually, but progressively filming answers to Top Dog questions and posting them in the Dunbar Academy Mail Bag section. Additionally, Top Dog Academy members are eligible to become Dunbar Academy Affiliates and start earning an ongoing passive income by sharing links of our courses to clients and other dog professionals. Take Your Dog Training to the Next Level! Your subscription will remain active until you choose to cancel. You can cancel at any time and doing so is simple and easy. You can either e-mail us or cancel yourself from the Billing section of your Dunbar Academy Account page. Dr Dunbar is an endless wealth of knowledge about dogs, their behaviour, and how to manage the behaviour of their humans! Great resource for dog trainers or dog owners wanting to get more out of their relationship with their dog. What a gift this course and training are to the world and to our pets. Thank you for your life's work, Ian. Fantastic Course! It has turned the old method of dog training on its head and gives you a better understanding of dog behaviour.